A short history of the Crossword….. 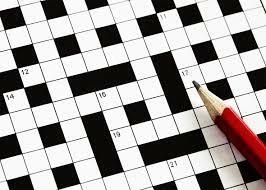 The concept of the crossword puzzle is so straightforwardly simple that it is hard to believe the puzzles were not invented until the early part of last century, and that “crossword” did not enter British dictionaries as a legitimate word until 1930. The crossword puzzle was the brainchild of an English journalist. In 1913, Arthur Wynne having just moved to America, got a job working on the entertainment supplement, Fun, of the Sunday edition of the New York World. One day in early December, pressured to devise a new game feature, he recalled a Victorian era word puzzle, Magic Square, which his grandfather had taught him. Magic Square was a child’s game, frequently printed in nineteenth-century British puzzle books and American penny periodicals. It consisted of a group of given words that had to be arranged so the letters read alike vertically and horizontally. 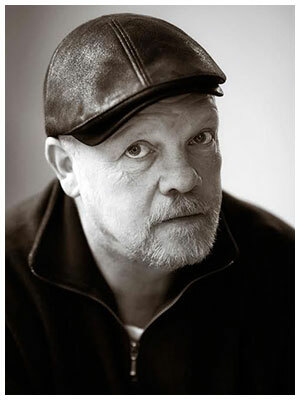 It exhibited none of the intricate word criss-crossings and blackened squares that Wynne built into his game. And where Magic Square gave a player the words to work with, Wynne created a list of Down and Across “clues,” challenging the player to deduce the appropriate words. In the December 21 edition of the World, American readers were confronted with the world’s first crossword puzzle. The Sunday feature was not billed as a new invention, but was only one of a varied group of the supplement’s “mental exercises.” And compared to the taxing standards of today’s crossword puzzles, Wynne’s was trivially simple, containing only well-known words suggested by straightforward clues. Nonetheless, the game struck the public’s fancy. Within months, Wynne’s “mental exercise” was appearing in other newspapers, and by the early 1920s, every major U.S. paper featured its own crossword puzzle. The publishing firm of Simon & Schuster released the first book of crossword puzzles, and in 1924, crossword books held the top four positions on the national best-seller list. Booksellers nationwide experienced an unexpected bonus: dictionaries were selling at a faster rate than at any previous time in history. In 1925, Britain succumbed to crossword mania, with one publication observing that “the puzzle fad becomes a well-entrenched habit.” Soon the puzzles began to appear in almost every language except those, like Chinese, that do not lend themselves to a letter-by-letter vertical and horizontal word construction. Crossword puzzles were such an international phenomenon by the early ’30s that women’s dresses, shoes, handbags, and jewelry were patterned with crossword motifs. While other games have come and gone, crossword puzzles have continued to become more and more challenging. Regularly enjoyed by millions, the crossword puzzle is possibly the most popular indoor game in the world.